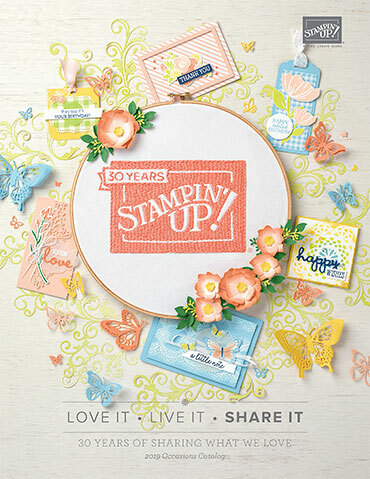 Would you love a Stampin' Up!® Tote bag?! If you are thinking about joining to get one... join my amazing team of Creative "Card"-iologists! The bags will be available while supplies last with the purchase of a Stampin' Up! Starter Kit. 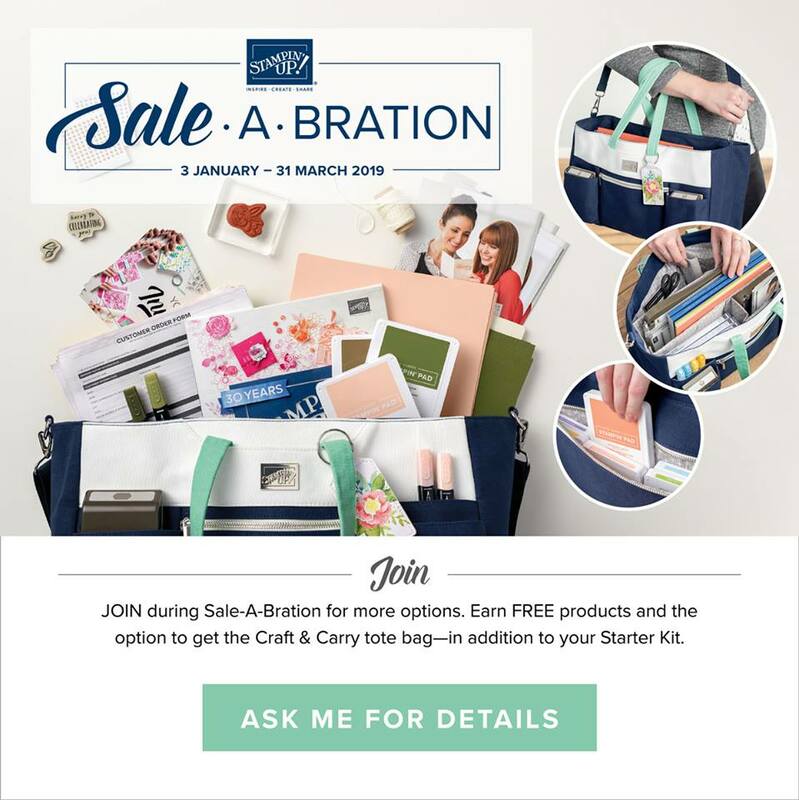 You have TWO options when you join during Sale-a-Bration. If you have ANY questions about joining up, please don't hesitate to ask. Remember that you have no obligation to sell AND you get 20% off all of your purchases after you join.... once you see this new catalog you are going to need the 20% off! 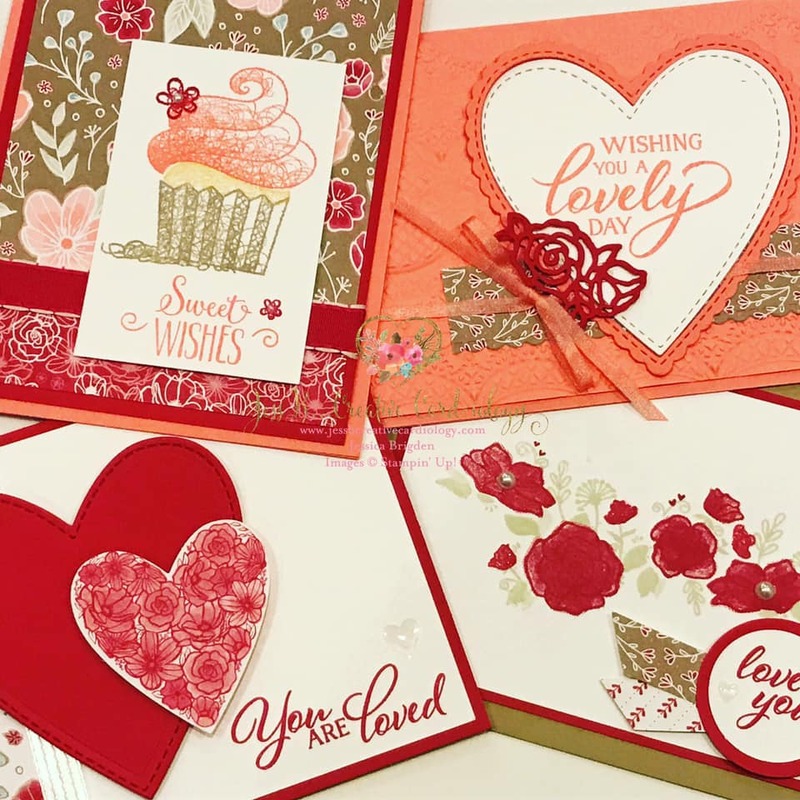 Delicate floral and heart images in romantic colors create lovely cards to send heartfelt messages throughout the year. Featuring All My Love Designer Series Paper, Forever Lovely and Meant to Be Stamp Set & Framelits Bundles. Friday Jan 4th @ 4:30pm. “To Go” Kit also available while supplies last. 10 Kits available. 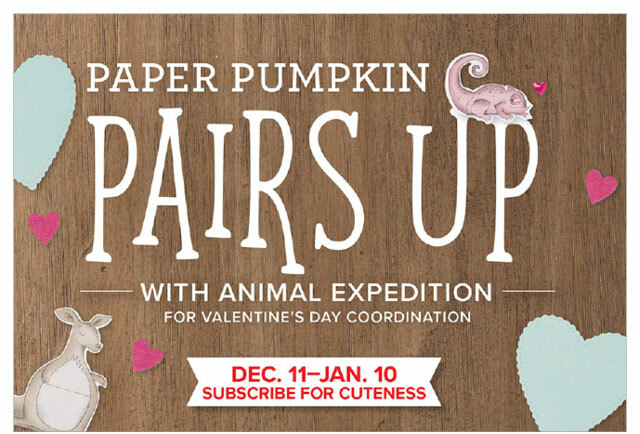 Option 1: $35 Fee - includes all supplies to make 8 cards with envelopes and a SNAIL adhesive refill. Get rewarded with FREE product just for shopping with me! For every $50 you order (before shipping & tax) earn a Heart Rewards point. Accumulate 15 Heart Rewards points and redeem them for $50 FREE product of your choice! Print out your rewards sheet here to keep track of your orders placed between June 1, 2018 - May 31, 2019. The Stampin' Up! Spring Occasions and Sale A Bration Catalogs are here! Did you get one? Free catalogs are a customer perk! If you've placed an order with me since September you're automatically on my list. If you haven't shopped with me lately and would like free catalogs - all you have to do is place an order! 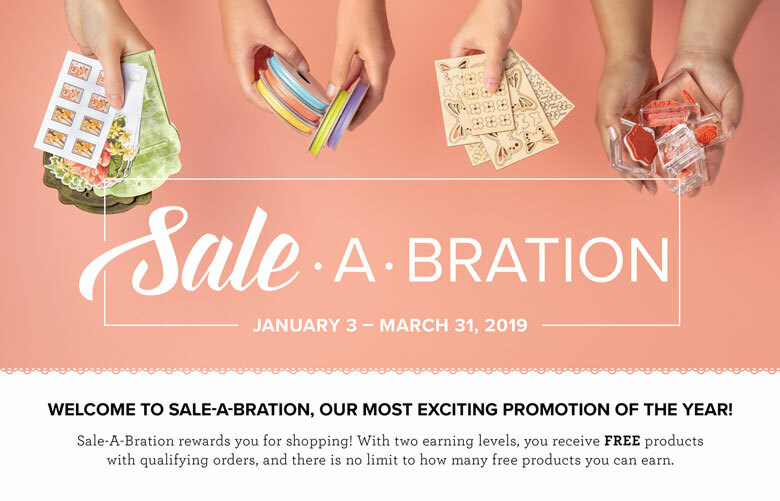 In the meantime, click the links to see the new Occasions Catalog and Sale A Bration Brochure, and shop all the new products in my online store.